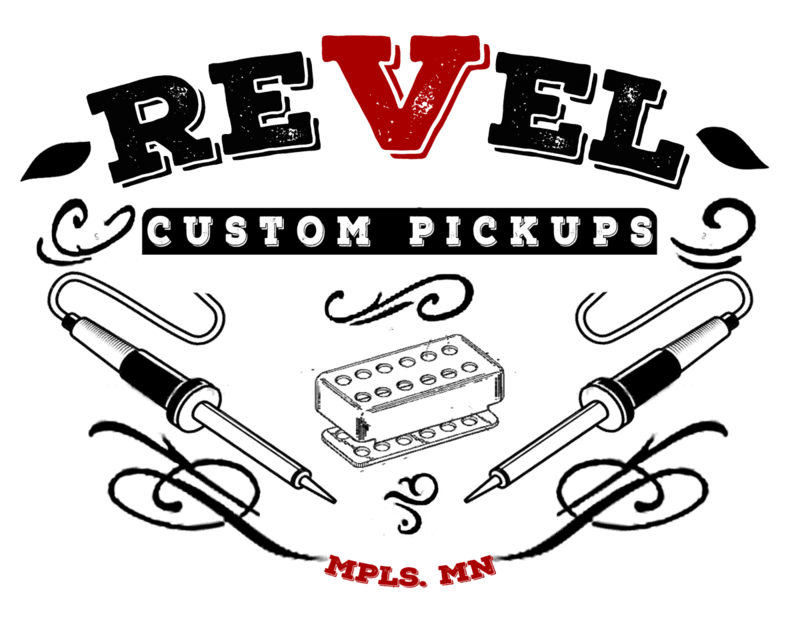 The Revel Mini Humbucker is my take on the vintage mini’s. These are wound to vintage turn counts using 42 awg plain enamel wire and are built with Alnico 5 magnets. The bridge I wind slightly hotter for better balance between positions but you can request it with the same output as the neck. An overwound bridge makes the mini humbucker fatter & more powerful accentuating the coveted tonal qualities of the mini without compromising them. 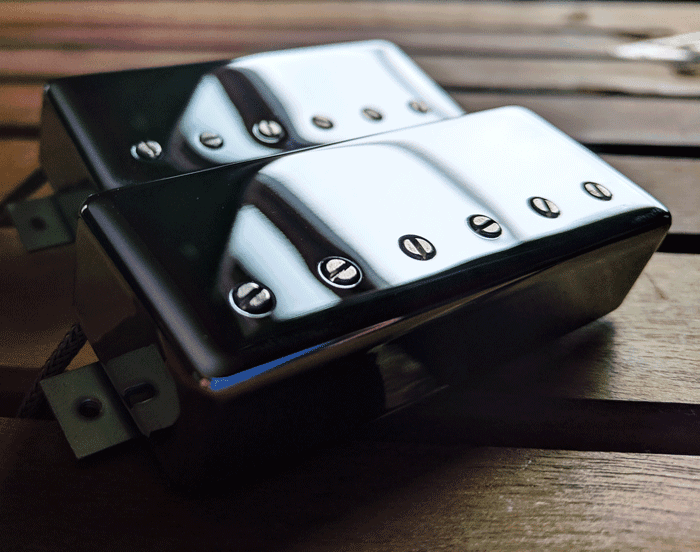 The mini humbucker is brighter than the conventional humbucker and the bridge is both brighter and tighter. Thanks to Drew Forsberg of the Persian Leaps for these before and after clips. The before are the original mini’s in his ’73 SG Special. 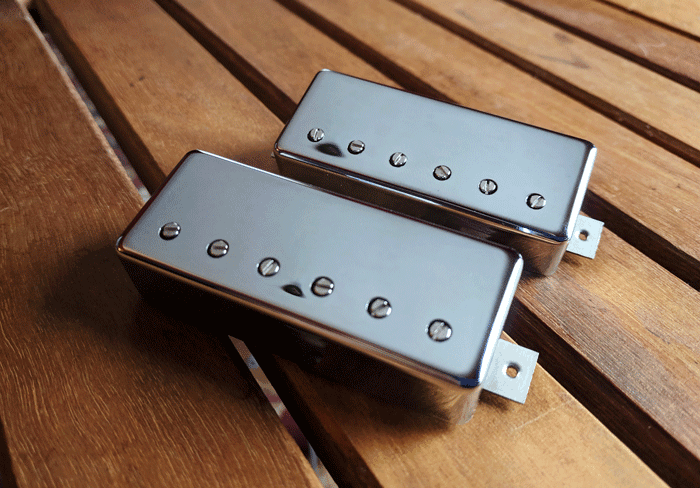 The after are Revel Custom Pickup’s Mini Humbuckers. The difference and improvement speaks, very loudly, for itself. As promised, here are some before vs after sound clips for you. I played the same bit from one of my songs (“Time Slips”) with a clean tone and again with a medium, transparent overdrive. The improvement is striking–Neil Weir and I were both amazed at the difference. The clips with your pickups are so much more focused sounding! When I brought the guitar with me for overdubs yesterday, I figured I’d capture the “after” clips and leave it there. But I actually ended up using it for smaller lead parts on every single song instead of my Jazzmaster (which also has your pickups in it and sounds great, too). To be fair, the songs already have multiple Jazzmaster rhythm parts so the SG tone was a welcome change instead of more of the same. In any case, I’m looking forward to recording more with the guitar. Thanks for yet another dramatic improvement in tone! I originally ordered a Revel mini-humbucker to add to the neck position of an Esquire I had lying around. I liked it so much I decided to take it out of the Esquire and install it in my Les Paul Special. I’m now ordering an overwound mini for the bridge position. 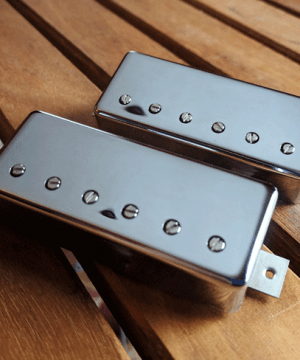 I’ve always prefered the sound of P90s and single coils over traditional PAF style humbuckers, but never cared for the hum. These minis are the solution. They’re cear and focused with fantastic high end sparkle without being overly bright…and without all the noise. Additionally, Jesse’s customer service has been fantastic. Oh, if you’re looking for WRHBs, he has those too…and they sound fantastic!